Our Tenant Satisfaction Survey has started and will end on Friday 22 February 2019. 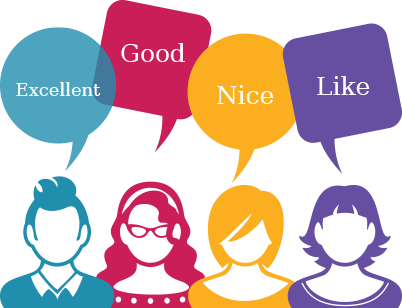 You may receive a call from customer experience specialists, TLF, who are calling a sample of tenants to gather your views on the service you receive from us. We carry out this survey to gather your feedback which we use to make improvements to our services. Since the last survey was carried out, we have been working hard to improve the areas that matter most to you. Keeping the promises we make to you. reviewed the customer experience for your repairs service, including letting you know the most common rechargeable and non-rechargeable repairs. The way we deal with nuisance and antisocial behaviour. made sure that if you complain about antisocial behaviour and nuisance you are kept informed about the timescales you can expect for a response. Making us easier to deal with. We have launched Phase 2 of our App which enables you to track the progress of your repair; and we are looking at options for introducing Webchat to give you greater choice in the way you contact us. Our Tenant Satisfaction Survey is underwayOur Tenant Satisfaction Survey has started and will end on Friday 23 February 2018.